ORLANDO, FL, Nov. 27, 2018 – Today, PETA, the Animal Welfare Institute (AWI), the International Marine Mammal Project of Earth Island Institute, Whale and Dolphin Conservation, Cetacean Society International, whale expert Dr. Lori Marino, PETA Foundation veterinarian Dr. Heather Rally, and AWI’s Dr. Naomi Rose have filed a lawsuit against the National Marine Fisheries Service (NMFS) over the federal agency’s position that it doesn’t have the legal authority to enforce permit provisions requiring the submission of necropsy reports and veterinary records for the deceased orcas Tilikum, Kasatka, and Kyara, which would then be made available to the public. Tilikum and Kasatka—who were featured in the 2013 documentary Blackfish—and Tilikum’s granddaughter, Kyara, all died in 2017 of reported lung infections. 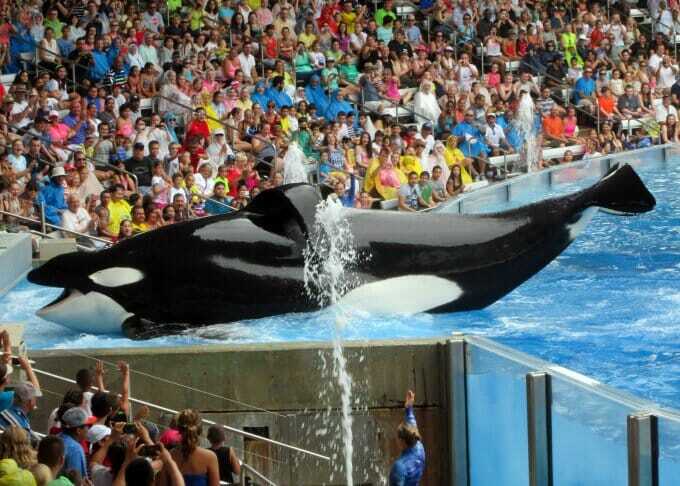 The permits that were issued to import Tilikum and Kasatka in 1992 and 1978, respectively, specify that SeaWorld must submit their records to NMFS upon the orcas’ deaths—a stipulation that, in Tilikum’s case, also applies to his progeny, including Kyara. NMFS did not obtain these records and now claims (without legal justification) that 1994 amendments to the Marine Mammal Protection Act voided those provisions. The plaintiffs assert that the provisions remain in effect and that the data contained in the records are vital not only to understanding the impact of captivity on orcas’ welfare but also to informing the rescue and treatment of injured or ill marine mammals in the wild. “Under the provisions of the Marine Mammal Protection Act, these orcas belong to the people of the United States, not SeaWorld, and we have every right to access information about their health and welfare,” states David Phillips of Earth Island Institute. “The plaintiffs are calling on the agency to stand by the permit conditions that it imposed and ensure that the public and the independent scientific community can examine this information in order to improve marine mammal well-being and hold parks like SeaWorld accountable,” says PETA Foundation Deputy General Counsel for Animal Law Jared Goodman. After SeaWorld announced that Tilikum was ill, PETA and AWI privately and publicly tried to persuade the company to release his necropsy report and veterinary records voluntarily upon his death, and they met with SeaWorld and government officials to urge transparency. The groups, along with the other plaintiffs, are taking this legal action as a last resort. The plaintiffs are represented by Washington, D.C., public-interest law firm Meyer Glitzenstein & Eubanks. The plaintiffs are also represented on a pro bono basis by Perkins Coie LLP.